Main Outdoor Arena is 250 X 130 and is surrounded with spectator bleachers. 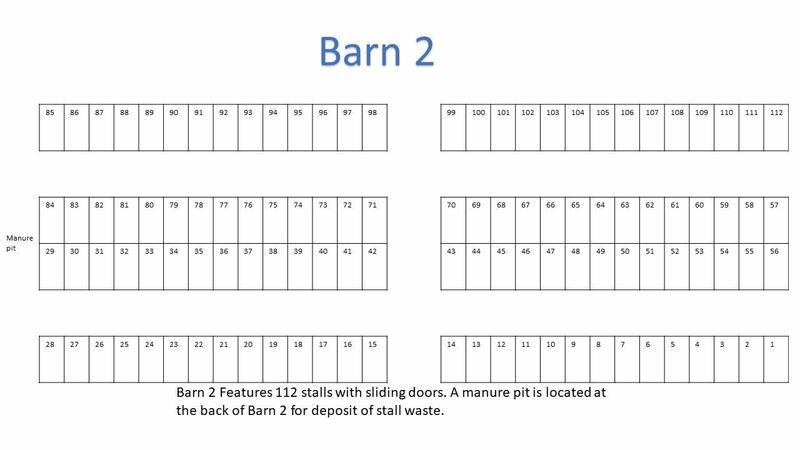 Main Arena is only open for events. Warm up area located outside main Arena. Fenced in Warm Up Ring is open 24/7 and 365 days a year for use during events or for personal practice at anytime. 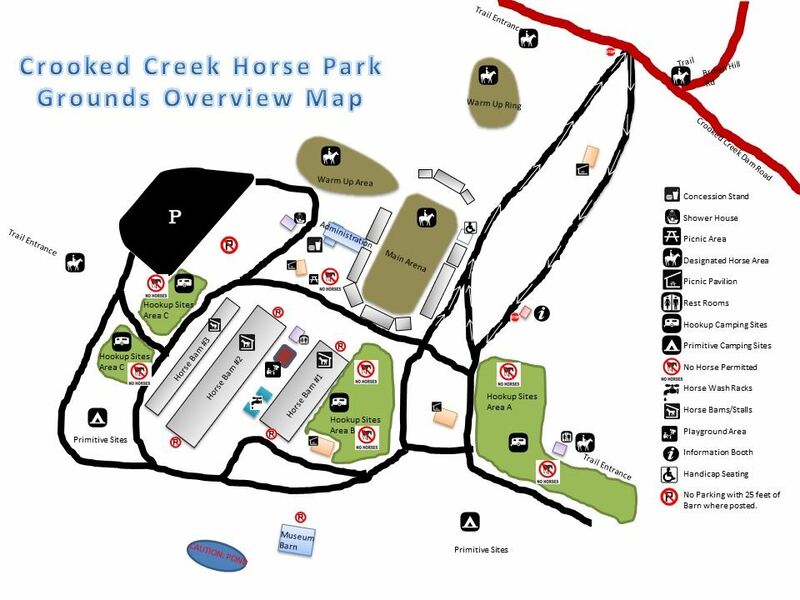 Tons of primitive camping areas. Administration building and concession stand that is open during events. 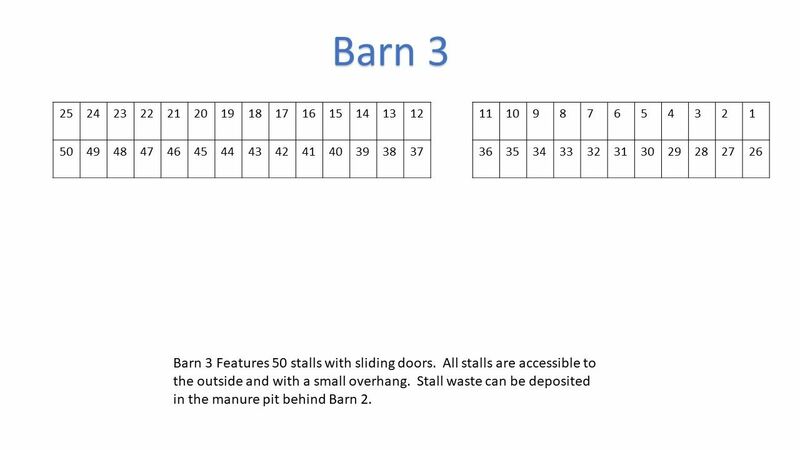 Picnic pavilion between entry and exit driveways. Information booth to pay during big shows or find general information. 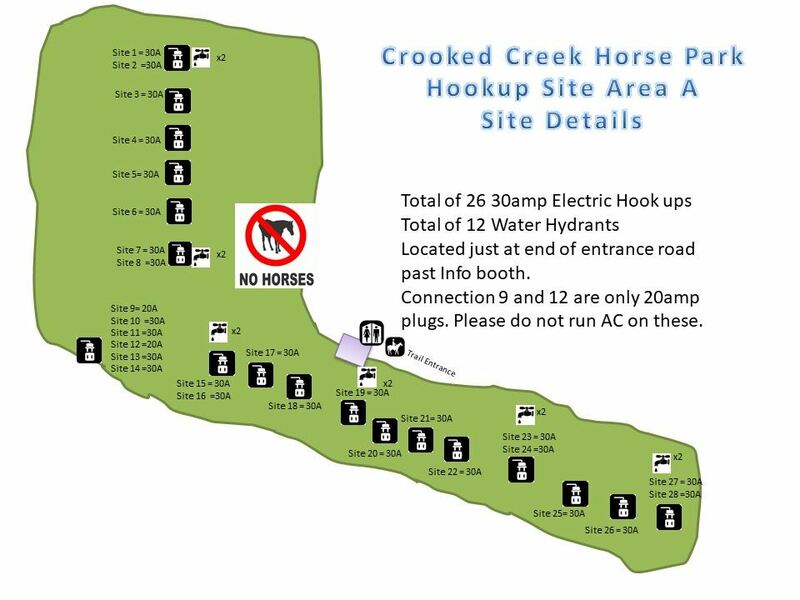 Portion of Site B Hookup Camping area. 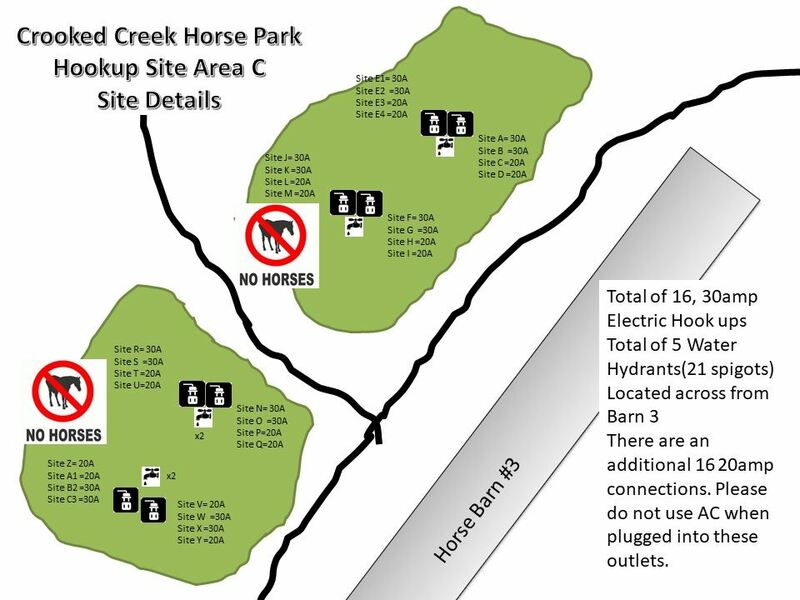 No horses allowed at any time in this area. 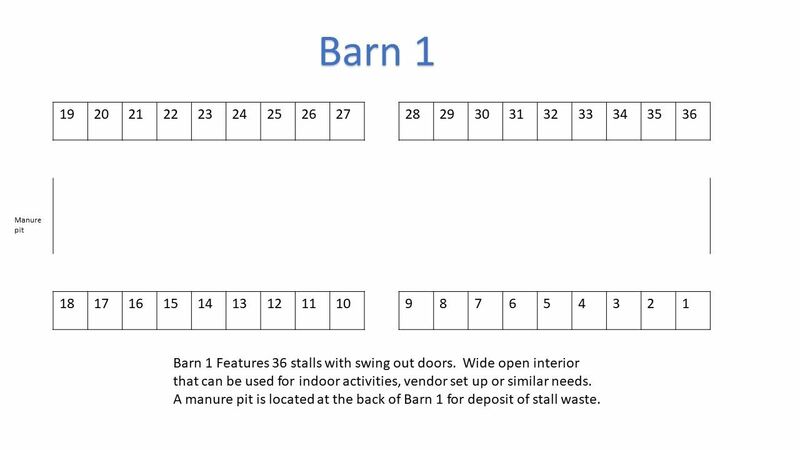 Back side view of Barn 1 and 2. Climate controlled Restrooms, only open during events. 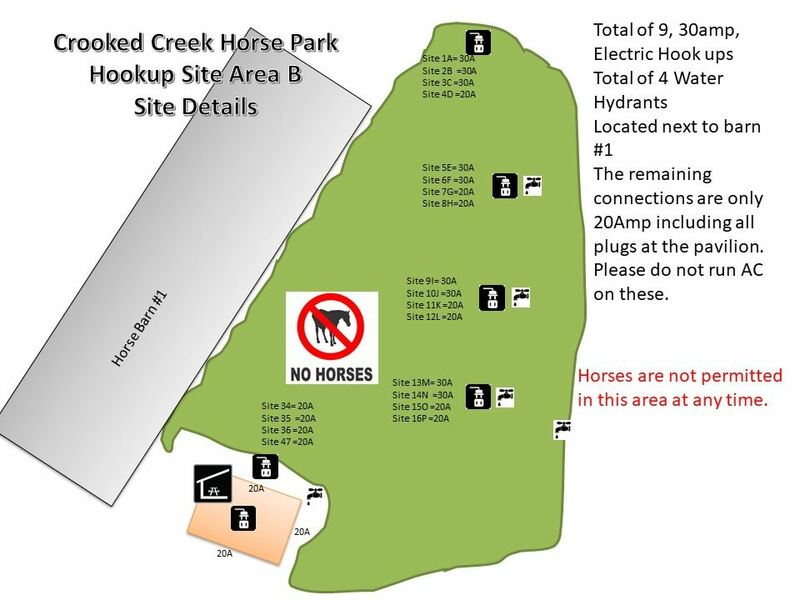 Horses are not permitted in any hookup sites throughout the park.